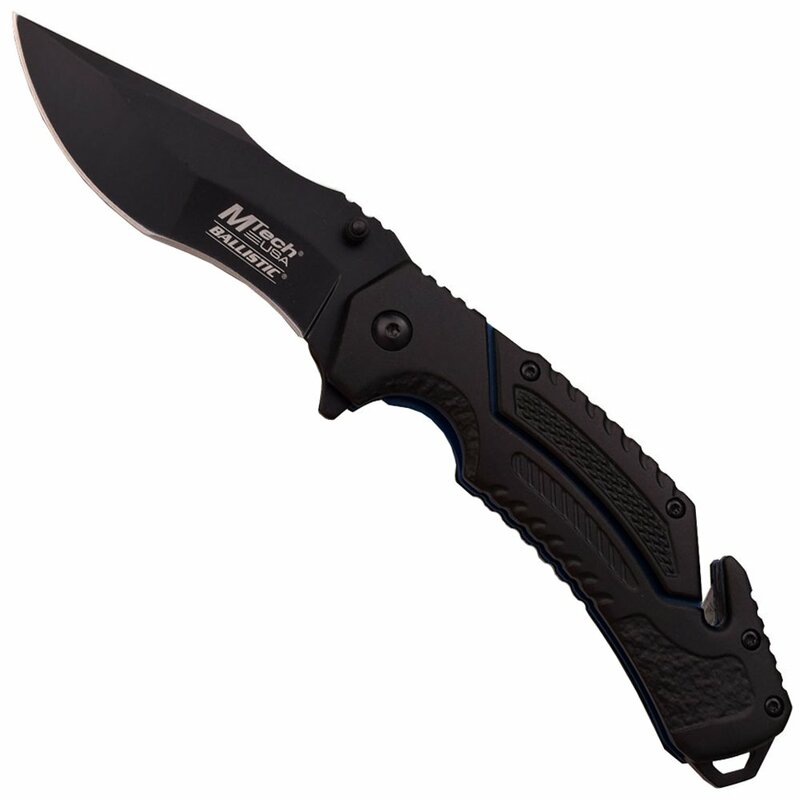 The MTA915 is a spring-assisted flipper knife from MTech USA’s Ballistic series. 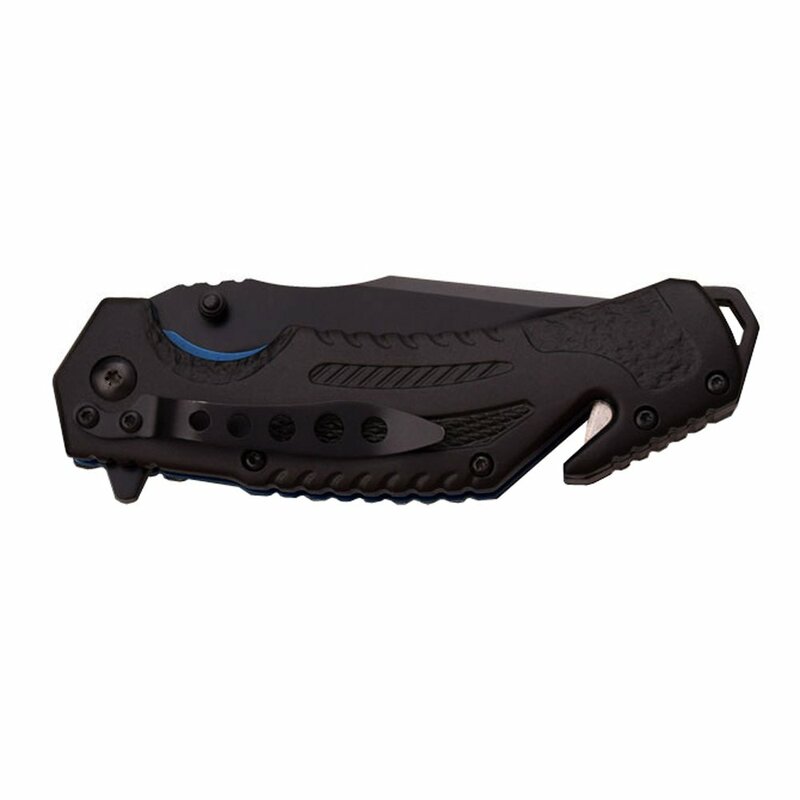 This aggressive folder is ideal for everyday carry tasks and also serves as a capable emergency rescue tool. In addition to 3.5mm stainless steel recurve blade, this knife comes equipped with a safety belt cutter as well as a glass breaker in the handle. Using either the flipper fin or ambidextrous thumb studs, the blade shoots open in the blink of an eye. 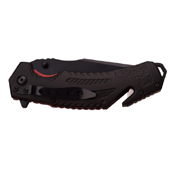 The safety cutter, also known as a strap or seatbelt cutter, is a bladed groove found in the handle of tactical, rescue, and survival knives. It allows for safe and easy cutting of thin material like paracord, fishing line, bag straps, and seat belts. They are especially useful in survival situations when accessing the full blade could be dangerous. Blade Thickness: 0.138" 0.138" 0.138"